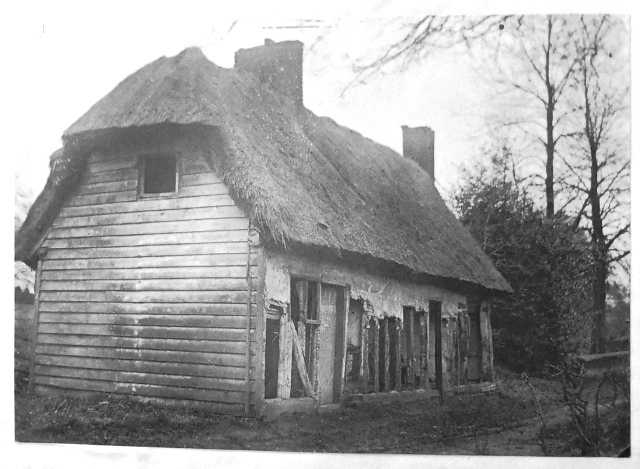 As yet only one reference has surfaced about this almshouse. 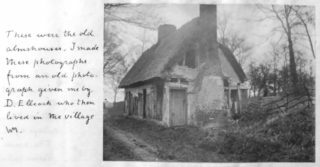 It can be found in a book by William Minet, the owner of Hadham Hall from 1900 until 1933. The relevant text is on page 36, with 3 photographs on the facing page. 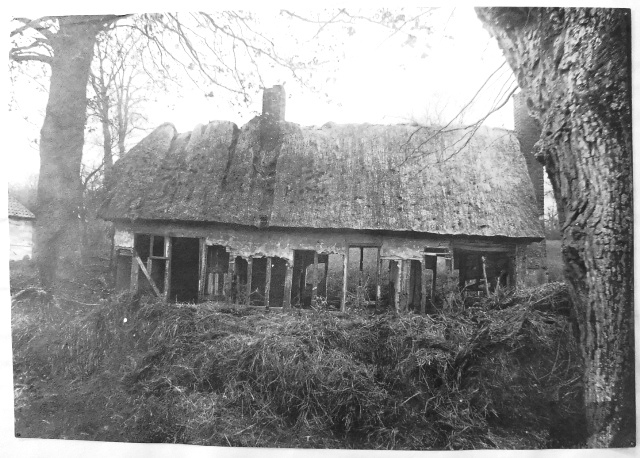 Three thatched cottages were owned by the churchwardens and overseers of the poor of Little Hadham. Purchased by one Samuel Betts in 1886, they were subsequently pulled down. 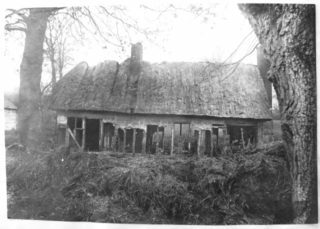 Photographs of the cottages in a derelict condition were taken by a local resident, Mr D Elleach. They were then copied by Minet and included in his book. DE/X10/Z1 Minet’s book about Hadham Hall comprises of pamphlets written and published by William Minet concerning the Hadham Hall estate and its owners. 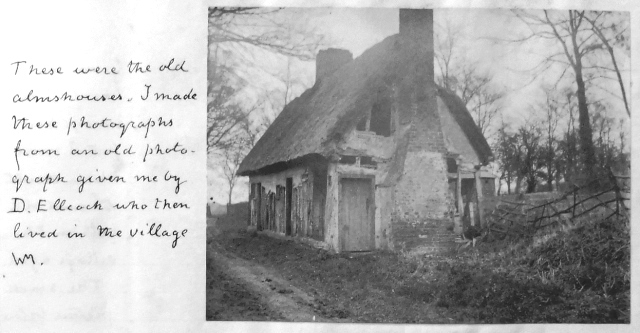 They are bound together with additional photographs and drawings. It is dated 1914 – 1930. It is held at HALS.